Spots away! 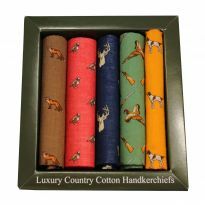 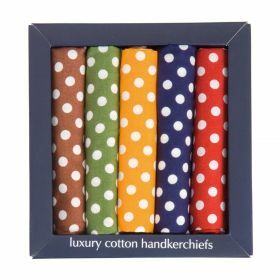 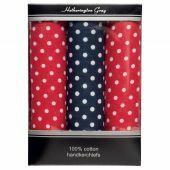 Five brightly coloured spotted large handkerchiefs for your gentleman's top pocket. 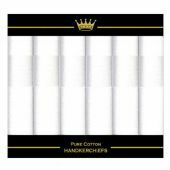 Pure cotton they make a great gift. 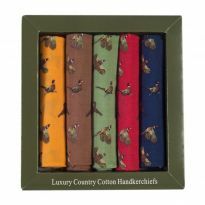 The boxed set includes brown, green, yellow, navy, red spotted handkerchiefs.